SEE HOW THEY RUN Galleys! 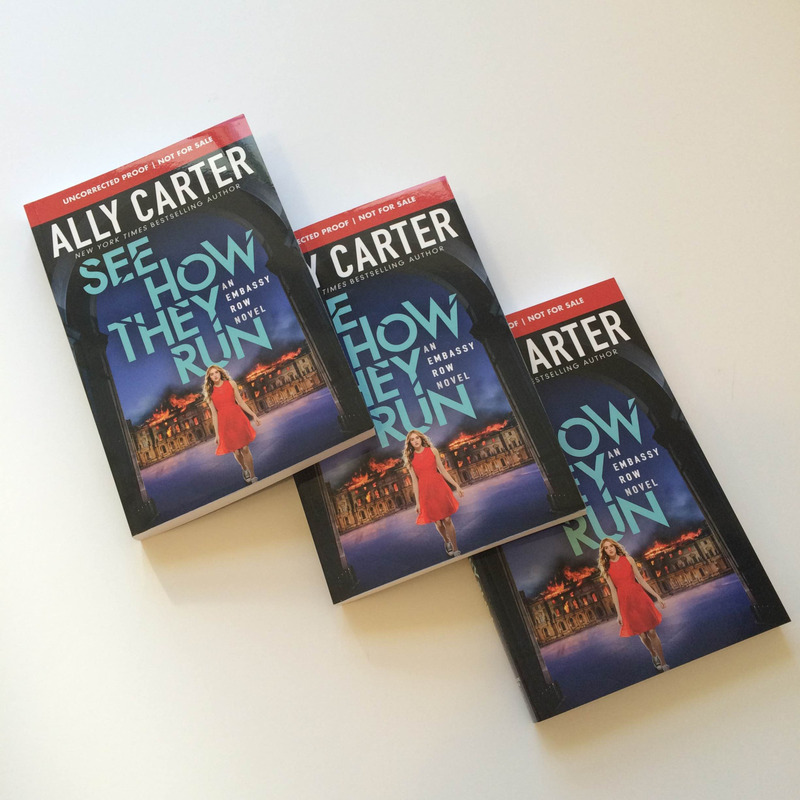 Take the Embassy Row quiz and share your results to be entered to win an advanced reading copy of See How They Run! There was some confusion about the Tumblr Contest so I am going to clear a few things up! You will have until end of the day this Monday, September 7th to submit your Fan Art on Tumblr! You must use the 2 hashtags to be entered. Ally will pick a winner or winners on Tuesday September 8th. The prize: An Advanced Reading Copy of See How They Run!!!! U.S. residents only! Enter as many times as you would like! This week are having an Embassy Row Fan Art Contest on Tumblr! You have until this Friday August 28th to post your art and you must use the 2 hashtags to be entered. Ally will pick a winner or winners on Monday August 31. What’s the prize you ask? An Advanced Reading Copy of See How They Run!!!! That’s right you can win it before you can buy it! Can’t wait to see all the art that you post! Today I am giving away a signed copy of All Fall Down! To be entered for your chance to win just comment what your first Ally Carter book you read was! We have a winner!! CONGRATULATIONS ANNE LAWSON!! Anne please send your mailing address to [email protected] and everyone else keep checking back for more giveaways and games! 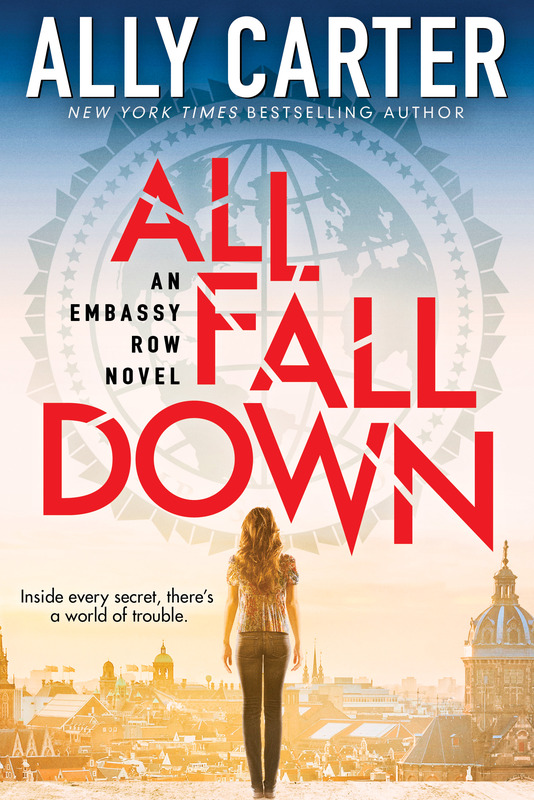 Today we have a wonderful giveaway, a chance to win TWO ARC’s of All Fall Down! One for you to keep and one for you to give to someone else! Contest Rules: To be entered into the contest you must comment who you would give the second book to! WE HAVE A WINNER!!! CONGRATULATIONS KELSIE! I would give the other book to my best friend who is just as big as fan as I am and Is super psyched for the Embassy Row Series!! Kelsie, please send me your mailing address to [email protected]! Well I know you are used to hearing from me on Mondays, but yesterday my internet was down so I couldn’t post until I got into the office today! 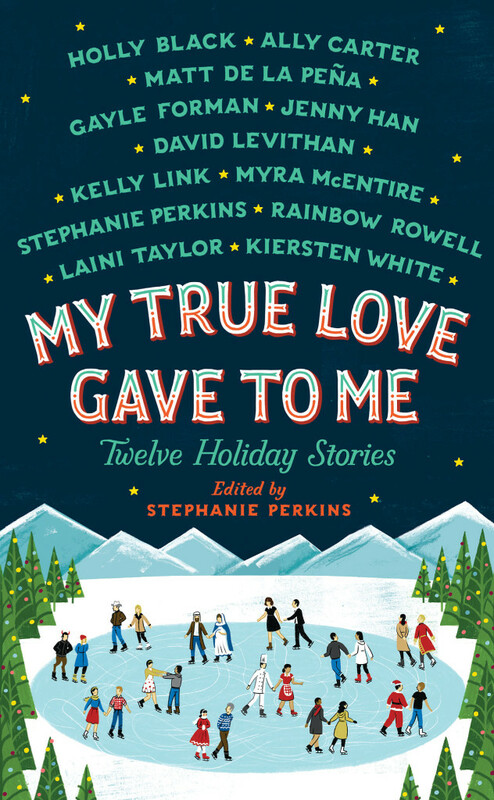 However, my misfortune is your gain because Ally just returned from her New York trip and she brought back a signed copy of My True Love Gave To Me and we are GIVING ONE AWAY! The copy up for grabs is signed by 10 of the 12 authors!!!! Congratulations Pavement Artist! You won! Everyone else check back next week for another awesome giveaway! 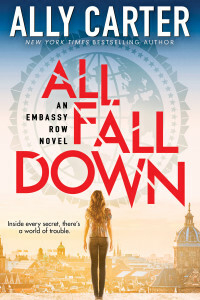 Who is ready to Win an Advanced Reading Copy of All Fall Down, Book 1 of the Embassy Row Series? 2. Comment on Ally’s post regarding the contest. Winner will be picked randomly in 48hours! Katie Clarke is the winner of the Facebook contest! Congratulations Katie! And that’s it. Next Monday we will run a whole new contest (with all new rules) on one of the other social media sites. For your second chance to win an ARC of All Fall Down head over to Ally’s Tumblr Page. Contest Rules: To be entered into the contest you must REBLOG today’s Tumblr post! You may add your own comment on Tumblr if you like but not necessary. Winner will be picked randomly in 48hours! We have a winner! Congratulations cchcutie you are the winner! We promised we would have some awesome contests and giveaways and they are all starting NOW!!! We have 4 Advanced Reading Copies of All Fall Down!! And 4 Different contests to win them! Over the next few weeks we will be posting contests on all of Ally’s Social Media Outlets: Tumblr, Instagram, Facebook, and Here on the Blog! That’s 4 Chances to Win an ARC of All Fall Down, Book 1 of the Embassy Row Series! We have a winner! Congratulations Arianna! I started reading Gallagher Girls when I entered middle school. I finished the last of them during my last semester of high school. I grew up with Cammie. Now, I’m in my first semester of college and would like Ally Carter’s books to be with me in this journey as well. With her books-Gallagher Girls and Heist Society- it seems like I’ve traveled around the world and would like to keep doing so with Embassy Row. Next Monday we will run a whole new contest (with all new rules) on one of the other social media sites. I hope all of you that got to go to RWA Literacy Autographing had a great time! And for those of you who didn’t get a chance to go we are going to mix it up a bit here on the blog and give away another author’s book! So here is your chance to win…The Camelot Code by Mari Mancusi! Just post in the comments if you have ever been to a book signing and who it was with, or if not, who you would like to meet in person to autograph one of your books! I will pick a winner randomly in 48 hrs. U.S. residence only. Please check back here for winner announcement! I have never been to a book signing, but if I could meet/get a book signed by someone it would be Ally Carter (obviously), Rick Riordan, Derek Landy, J.K. Rowling, Jennifer E. Smith, or Gail Carson Levine! CONGRATULATIONS ELIZABETH! Please send me your mailing address to [email protected]!